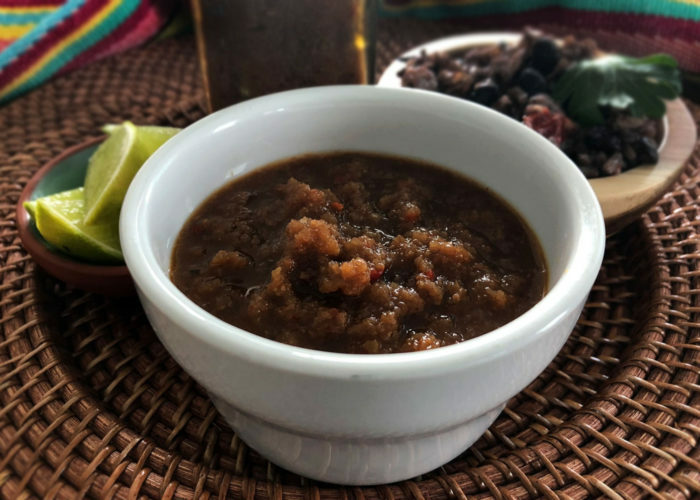 Sweet, tangy and smoky, this Costa Rican table sauce made with herbs, chiles and veggies is a must-have for Gallo Pinto and a nice-to-have with all kinds of other foods! 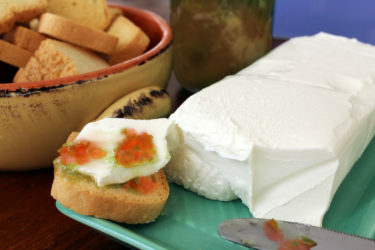 You won't need to travel far in Costa Rica without coming across a bottle of Salsa Lizano. This is every Tico's go-to condiment, and a bottle is within easy reach at practically every table in the country. It's an essential ingredient in the famous gallo Pinto, Costa Rica's national dish, but it's also liberally sprinkled on eggs, splashed on burgers, tucked next to grilled meats, and more. Salsa Lizano was invented by the Lizano Company in 1920, so it's been around for a while. To my knowledge, the original recipe is still in place today. It has a brown color and a sweet and tangy taste that sets is apart from most other table salsas and condiments. 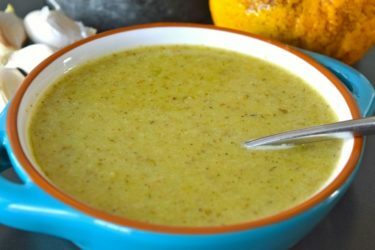 While it's relatively easy to find this sauce online and at some local supermarkets, it's also super-easy to make at home! The added benefit of any homemade salsa is that you get those fresh flavors and aromas that you simply cannot find in a store-bought sauce. You also don't have to deal with preservatives, which is always a bonus. If you're making Gallo Pinto (we've got the recipe here), Salsa Lizano is a must. But even if gallo pinto isn't on the menu, this sauce goes well with a variety of foods. In a medium saucepan, add the chiles ancho and the cup of water. Simmer for 10 minutes. 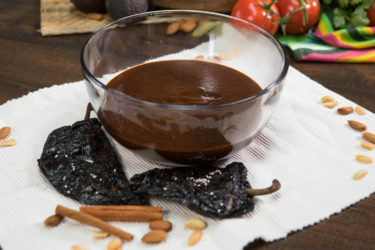 In a blender, add the chiles ancho with the water, onion, carrot, sugar, lemon juice, vinegar, cumin, black pepper, salt and molasses. Puree until smooth. Sauce will keep in refrigerator for up to 2 weeks.